​Enjoy an edited version of Dr. Danny Recio and Andy Myers' presentation given at the Young Adult Transition Association conference in Idaho in October, 2016. 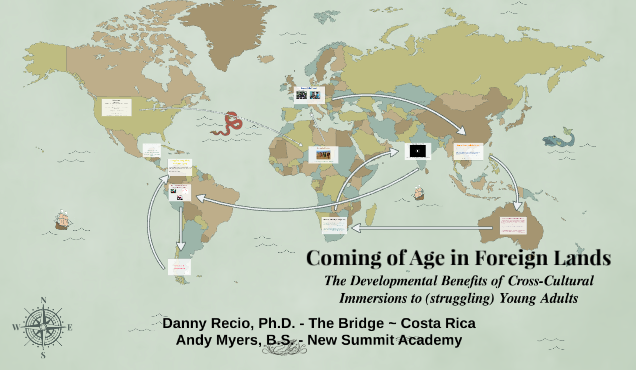 You'll learn a lot about how humans learn, coming of age experiences during adolescence and young adulthood, and how appropriately designed cultural immersion experiences can be most efficient and effective in creating integrative growth experiences to enhance cognitive complexity. Enjoy!